You are on this page most likely because you are an athlete or someone with a physically demanding line of work who has continued weakness and pain in your shoulder and this is greatly impacting your sports performance or your work performance. So here you are looking for answers. We are probably the tenth or 20th page you visited online. What we hope to share with you here is that you have continued issues in your shoulder because you cannot isolate on one problem in the shoulder and treat it and realistically expect great or long-term results. The shoulder needs to be treated as a unit. The reason your shoulder is not better? Because everyone is looking at a tendon, they should be looking at your whole shoulder. When someone comes into one of our clinics, and they come in with Swimmer’s shoulder, or supraspinatus tendinopathy, or a rotator cuff tendinopathy diagnosis, they come in knowing that their shoulder hurts, there is a problem with tendons, and they are thinking that somewhere along the line someone, if they have not already, is going to eventually recommend a surgery. Surgery means extended time away from sport or work. Surgery for many, therefore, is not a realistic option. Rotator Cuff Tendinopathy is caused by a shoulder that is loosening and becoming unstable. Your shoulder labrum is wearing away and progressively making your shoulder loose and wobbly. The very strong message here is, your shoulder tendons do not live on an island, they are part of the shoulder joint complex. You cannot just address the tendons and expect long-term healing and return to should strength. So here you stuck in degenerative shoulder disease looking for a way out. and eventually grow more bone. This is why bone spurs and arthritis are the long-term results of joint instability which was treated only for the symptoms it produced: inflammation and muscle spasms. Corticosteroid shots and anti-inflammatories address the shoulder swelling and inflammation, so the symptoms appear better and people keep taking them, but rotator cuff degenerative problems caused by shoulder instability continues. Swelling protects the shoulders when anti-inflammatories take the swelling away, the shoulder is again vulnerable. Shoulder instability is joint erosion and joint decay. Without the “protection” of the joint swelling, further pressures continue to be exerted on the rotator cuff tendons. The body now swells the tendons through inflammation to help them handle the heavier workload. But the inflammation is not a long-term answer, it is a short-term response to help get the shoulder through a tough time. Tendinosis (literally diseased tendon) is degeneration in response to chronic overuse; when overuse is continued without giving the tendon time to heal and rest, such as with repetitive strain injury, tendinosis results. Even tiny movements, such as clicking a mouse, can cause tendinosis, when done repeatedly. The confusion about the difference between tendinitis (inflammation of the tendon) and tendinosis (diseased tendon without inflammation) is widespread. Tendinopathy refers to generally to damaged and injured tendons. Many injuries commonly presumed to be tendinitis are actually tendinosis. In other words, you do not need an inflamed joint to have a diseased tendon. However, that does not mean that inflammation will not lead to tendinosis. The shoulder is made up of two joints, the glenohumeral joint, and the acromioclavicular joint. The glenohumeral joint is a ball and socket joint formed by the top of the humerus and the socket of the scapula. The rotator cuff is a group of four muscles and tendons that surround the glenohumeral joint and hold the head of the humerus into the scapula. The glenohumeral ligaments, however, are the main stabilizers. The rotator cuff functions to stabilize the shoulder and allow the arms to move through a full range of motion. The rotator cuff works together with the deltoid muscle to provide motion and strength to the shoulder for activities that require motion above the waist and shoulders. Rotator cuff tendinosis (the disease and degeneration process) occurs when the small muscles of the rotator cuff, the supraspinatus, infraspinatus, teres minor, and subscapularis, become strained, causing weakness of these structures and subsequent tendonitis (tendon inflammation). As we mentioned above, the muscles go first before the tendon in most cases. This is especially true in the small and relatively weak rotator cuff muscles which are asked to perform key functions. The supraspinatus helps seat the humeral head (ball) into the glenoid cavity (socket) when the arm is raised from the side (abducted). 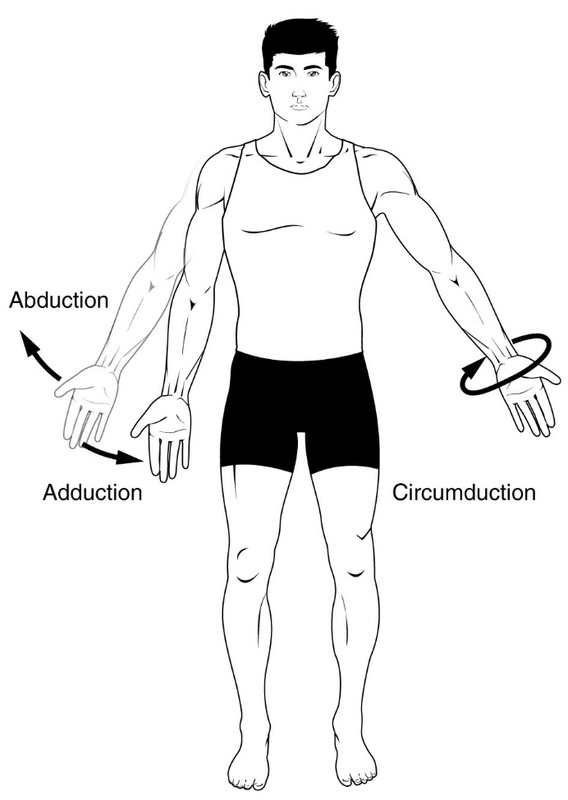 and the subscapularis rotates the forearm towards the body (internal rotation). Once the balance between motion and joint stability is altered through a weakness in the static structures (ligaments) or the dynamic structures (rotator cuff muscles), pain and impaired function will invariably ensue. Baseball pitchers, quarterbacks, tennis players (serving), and swimmers are prone to rotator cuff tendonitis and rotator cuff impingement syndrome. This is because these athletes perform a lot of overhead movements. The rotator cuff is most vulnerable in this position. sleeping on the same arm each night; Sleeping on the shoulder causes a pinching of the rotator cuff muscles and can lead to rotator cuff weakness. There are cases where the cause of the rotator cuff tendon laxity was due to years of sleeping on the shoulder. poor muscle control or coordination; poor posture over the years; or a loose or unstable shoulder joint following a previous dislocation. If the rotator cuff continues to be injured or inflamed it will eventually tear, resulting in a more serious problem. A supraspinatus tendon problem is manifested by pain with abduction and external rotation of the shoulder, especially when reaching for things above shoulder level, or pain in the shoulder after sleeping due to compression of the supraspinatus tendon. The supraspinatus tendon often refers pain to the back of the shoulder. Those who have supraspinatus tendon laxity causing pain will stop moving their arms into the painful position. Although they may not realize it, they are slowly but surely losing shoulder movement. The progression from tendinitis to rotator cuff tear was documented in new research from doctors at the Seoul National University College of Medicine in South Korea who published their findings in the journal Knee Surgery, Sports Traumatology, Arthroscopy. This study showed that the degeneration of supraspinatus tendon increases as the stage of rotator cuff disease progresses from tendinopathy to partial rotator cuff tear, and then to full rotator cuff tear. Significant tendon degeneration began from the stage of a partial rotator cuff tear. The clinical relevance of the study is that strategies and goals of the treatment for rotator cuff disease should be specific to its stage, in order to prevent disease progression for tendinopathy and partial rotator cuff tear, as well to restore the structural integrity for full rotator cuff tear. (2) In other words, treat it early! We are going to discuss regenerative Prolotherapy treatments below but we would like to address new research (December 2018) published in the European Journal of Physical and Rehabilitation Medicine (3) on the effectiveness of Prolotherapy treatments in supraspinatus tendinopathy. Although patients with symptoms caused by chronic rotator cuff tendinopathy can be treated using conservative treatments, some of them may still experience refractory or difficult to resolve symptoms. Hypertonic dextrose prolotherapy may be another treatment choice for these difficult to resolve symptoms. Study group was 31 patients with chronic supraspinatus tendinopathy and shoulder pain for more than 6 months. The study patients were treated with one dose of an ultrasound-guided hypertonic dextrose injection at the supraspinatus enthesis site, whereas control patients received one dose of 5% normal saline through the same method. Pain and disability improvement scores were noted at 2 and 6 weeks after intervention. The study group indicated a significant improvement in pain and disability scores including improved range of motion compared with the control group at 2 weeks after the injection. However, the effect did not sustain until 6 weeks after the injection. This is our treatment, multiple injections at each visit. The reality of treatment is that months or years of degenerative tendinopathy in the shoulder cannot realistically be expected to be reversed with a single injection if anything. The initial treatment for rotator cuff tendinosis is frequently to limit above shoulder level activity, application of ice to the shoulder, anti-inflammatory medications for pain, and physical therapy to maintain flexibility. Although common in the treatment of rotator cuff tendonitis, the use of anti-inflammatories and steroids may actually hinder the healing of soft tissues, such as tendons and ligaments, and do not address the root of the problem. Likewise, physical therapy does not help heal the affected ligaments and tendons. Although these treatments may help temporarily, they do not address the original cause of the problem, thus, it eventually returns. In addition, degenerative fraying and tearing of the tendon may occur with constant irritation of the tendon. When symptoms persist, patients who experience rotator cuff tendonitis are commonly referred to a surgeon for arthroscopic surgery. Unfortunately, surgery may make the problem worse because they are concentrating solely on the tear or an MRI or X-ray finding that, again, the overall joint weakness is not addressed. Let alone, decisions to remove cartilage or other tissue will most commonly fast-track the onset of arthritis. Doctors from Finland writing in the Bone and Joint Journal, (4) suggest that arthroscopic decompression not be recommended for patients with rotator cuff tendinopathy. and a similar supervised exercise treatment alone. Self-reported pain on a visual analogue scale (VAS) questionnaires was the primary means of determining the study’s results. The researchers also looked for problems of disability, working ability, pain at night. A total of 90 patients (64%) returned questionnaires at an average 12 years after research began. Both treatment groups reached statistically significant improvement compared with the baseline for pain, but there was no significant difference between groups. The same was true in the secondary outcome measures. Due to group changes, the results were also analyzed per protocol: operated or not. No significant differences between the groups were found. Even though the patients who underwent operative treatment had a stronger belief in recovery, which is likely to be surgical and the effect of placebo, the exercise group obtained similar results. In the future, an optimum exercise regime should be searched for, as the most clinically and cost-effective conservative treatment for rotator cuff tendinopathy. If there is no added benefit to the surgery, why take the risk of complications and failed procedure? 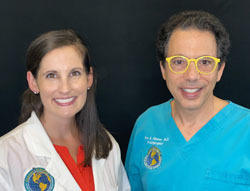 In the Journal of Hand Therapy doctors at the The University of Queensland suggest that patients receiving surgery for upper extremity disorders including Carpal tunnel syndrome, Lateral epicondylalgia and Rotator cuff tendinopathy from workplace overuse injury needed to be better categorized after surgery failure. We have written extensively about rotator cuff surgery failure rates. or recovering slower than expected (12%). 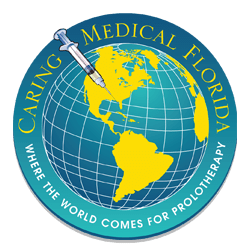 Comprehensive Prolotherapy for rotator cuff tendonitis involves multiple injections of dextrose-based solution to the various ligament and tendon attachments around the shoulder, as well as inside the joint. Prolotherapy to all of the adjacent structures stimulates a natural inflammatory response in the weakened rotator cuff tissues. This mild, localized inflammatory reaction draws immune cells to the area to regenerate the injured tissues. The increase in blood flow and regenerative cells is the body’s natural healing response. The body also responds by depositing collagen at the site of injury, strengthening the rotator cuff tendons that once were weak. 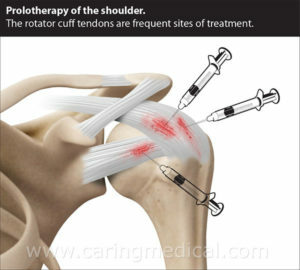 Prolotherapy injections strengthen the ligaments and the tendinous insertions of the rotator cuff and deltoid. This combined with the gradual re-strengthening of the rotator cuff muscles promises an excellent chance for a full recovery and full performance in many patients. 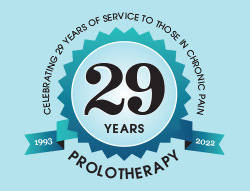 There is a lot of research to support the use of Comprehensive Prolotherapy injections for Rotator Cuff Tendinopathy. In the medical journal Manual Therapy, the benefits of dry needling were also confirmed by research from U.S. Army-Baylor University doctors who found changes in shoulder range of motion and pain sensitivity after dry needling to the infraspinatus muscle (one of the rotator cuff muscles) in patients with subacromial pain syndrome (subacromial or shoulder impingement syndrome). These changes generally occurred 3-4 days after dry needling.”(8) So the injection of a needle creates healing. Doctors at the National Taiwan University Hospital, published their findings in the February 2019 edition of the Archives of physical medicine and rehabilitation (11) in which they suggest “patients with rotator cuff tendinopathy, corticosteroid plays a role in the short term (3-6 weeks) but not in long-term (over 24 weeks) pain reduction and functional improvement. 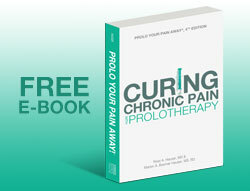 By contrast, PRP and prolotherapy may yield better outcomes in the long term (over 24 weeks). If you have questions about Rotator Cuff Tendinopathy treatments? You can get help and information from our Caring Medical staff.